I am a big fan of Planet of the Apes, in all its iterations. My favourite being the original films dating from 1968 to 1973. This is the TV series which came out in 1974 and ran for 14 episodes. I remember seeing it on TV, although I’m guessing that was reruns. 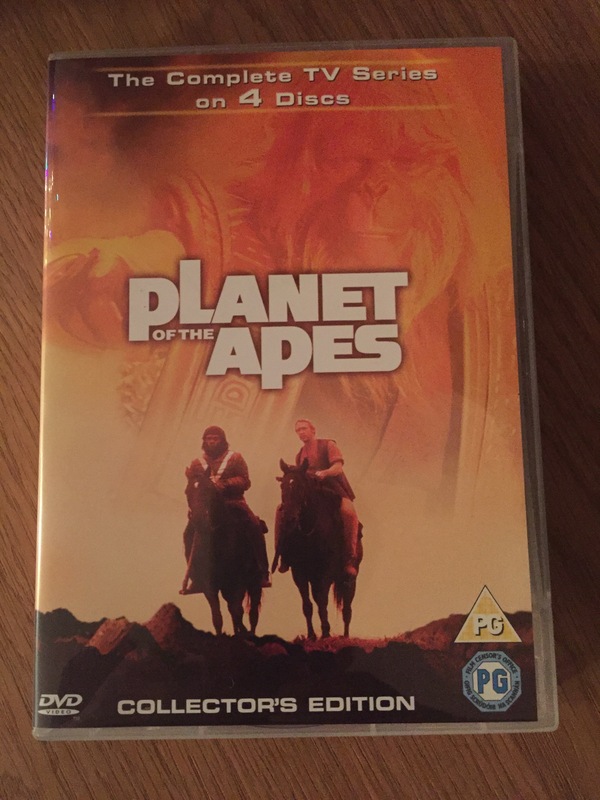 Of course, after that was the Tim Burton remake in 2001 and more recently the two movies, “Rise of the Planet of the Apes”, and “Dawn of the Planet of the Apes”, both of which I’ve thought were well made and good interpretations of the story. I’m enjoying watching these again and seeing how the makers were trying to create a nice long running season of episodes, but sadly only got 14 out. I’m going to be interested to see what the next film in the current series does. It is meant to come out in 2017. I’m hoping that they’ll do more than just the next one, that they’ll take the story into a new direction too. Let’s see.